The press watchdog has rapped two regional dailies after complaints about the accuracy of stories they published. The Independent Press Standards Organisation has upheld complaints against the Glasgow Evening Times and the Belfast Telegraph under Clause 1 (Accuracy) of the Editors’ Code of Practice. In the case of the Evening Times, Shieldhill Young Defenders Flute Band complained to IPSO over the newspaper’s publication of a photo of its members marching, which was used to accompany a story an alleged attack on a Catholic priest at an Orange Walk in Glasgow. In its complaint, the band said that it had not been present at the event referred to in the article, and that the photograph used was from the same event the year before. It said that its inclusion in the article suggested that it had been involved in the alleged attack on a priest, which was a damaging and untrue allegation that had caused reputational damage to the band. The Evening Times accepted that the caption did not make it sufficiently clear that the photograph depicted a previous march, but did not accept that the inclusion of the picture gave the impression that the band had any connection to the alleged attack. The paper had removed the photograph from the online article shortly after it had been published, after receiving a separate complaint, and had also offered to apologise for any offence caused. IPSO found the photo’s inclusion did not suggest that the complainant had any connection to the alleged attack, but gave the significantly misleading impression that it had been in attendance at a march that had been widely criticised. The complaint was upheld, and the full adjudication can be read here. In the case of the Belfast Telegraph, Rostrevor Action Respecting the Environment had complained about a story which reported it had lost a legal challenge which attempted to halt the building of a development within an Area of Outstanding Natural Beauty. The article said the group was concerned that the development and increase in traffic could put the nearby ancient oaks at risk. However, the group claimed this was inaccurate because it was concerned about the impact on the safety of road users, along with many reasons why it was opposed to the development. In addition, the journalist had consulted the group’s online fundraising page, titled ‘Help Protect Ancient Irish Oakwood from Concrete Jungle’. 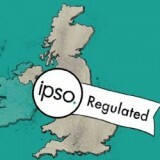 When it was initially contacted by the complainant prior to IPSO involvement, the Bel Tel offered the group a full right of reply in the form of a letter to the editor, which was declined. IPSO found the Bel Tel was unable to provide a basis for its assertion regarding the oaks, which gave the misleading impression that the reason the group was opposed to the development was limited to the potential for increased traffic to impact on the ancient trees. Surely that tree complaint could have been settled between the parties if the paper had published a correction/explanation as an article and not a letter, on the same page as near as possible to the original, without wasting IPSO’s time?